Lesson One: What is Web Hosting? A website - a page or set of pages that is located under the same domain name. HostSearch.com is a website (but you knew that already!) A web page is a computer document written in a publishing language called HTML. When an Internet user types in your web address, your web server sends the content of your web page to that user. A domain name - a unique text-based address used to locate a specific set of web pages. A domain name is made up of words and/or numbers plus a TLD (top level domain). The TLD for most businesses is ".com", such as www.hostsearch.com; non-profit organizations use ".org"; universities and educational sites use ".edu"; and sites involved with the U.S. government use ".gov". More TLDs are on the way, such as .biz, .pro, .name, .info, etc. A server is a computer that stores information that can be accessed through the network. Servers can also be used to store website information that can be accessed by any computer with a connection to the Internet - and a connection to the Internet - and a browser such as Internet Explorer, FireFox or Chrome, the three most popular web browsers. Web hosting is, in many ways, similar to renting property. There are plenty of companies that will rent you space on their web servers. The wide range of services start from free hosting on up to buying a server for your own personal use. It's possible to spend thousands of dollars a year on web hosting alone, though the average person or small business typically pays $5 - $40 a month, depending on how many features they need. Lesson Two: Do I Need a Web Host? 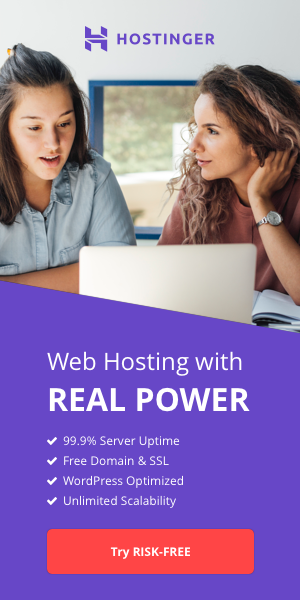 If you are planning to establish an internet presence, whether it be in the form of a personal homepage or a full-service e-commerce catalogue, and do not own your own personal server, you will definitely need a web host. Finding a good web host, however, can be a rather difficult endeavor. That is where a site like HostSearch can help you, as our entire site is dedicated to helping you find the best hosting solution for your particular needs. Choosing a host for your website should not be taken lightly. Once committed, it becomes a real headache to move elsewhere - not to mention the damage that can be done to your business if you make the wrong choice. This makes it very important to "get it right the first time." Find out as much as you can about your prospective host before making any decisions, and have a clear idea of the scope of your site, and the functions you wish to have prior to searching for your host. Doing the proper planning will help you a great deal in your selection of a host, and will save you the headache of trying to change hosts later. Lesson Three: What type of web hosting package is suitable for me? There are several types of web hosting services in the market. Let's start from small to large. Free Web Hosting is for fun. If you want to experiment with a site or put up a small, personal site for the fun of it, a free package will suffice. The most common used type of web hosting is Shared Hosting or Virtual Hosting. The "shared" web hosting means you're sharing spaces and server resources with other customers on the server. This is the most popular type of web hosting services. If you're starting off with a small traffic website, shared hosting is a perfect fit for you. Virtual Private Server or VPS Web Hosting is a choice to go if you are looking for something more powerful than shared hosting. VPS customers are put on the shared server but the resrouces (CPU, RAM and Hard Disk) are dedicated for each customer. If you want a powerful web hosting service but don't want to pay a pretty much higher price from "shared," VPS is your choice. Dedicated Server and Managed Hosting are for large, high-traffic sites, and for those with special needs for customized server configurations. You can freely customize the server for the configuration that you want. You will be a single customer on the server. Managed Hosting is the type of service that your web hosting provider helps you manage a server. For dedicated server, you are pretty much on your own to manage a server. Cloud Hosting service is the newest type of hosting services among others. Your hosting account will be put under the pool of clustered servers. Cloud gives you the power from the cluster and it gives you the flexibility. Most providers offer it as a utility computing service, which means you pay only for the amount that you use for each month. The prices that you pay on the month that your website gets high traffic will be different from the month that your site gets low traffic. It's suited you if you want a highly scalable services.